ESO Supernova Exhibition — What is the ELT? A few years from now, the largest telescope in history will turn its giant eye to the sky. 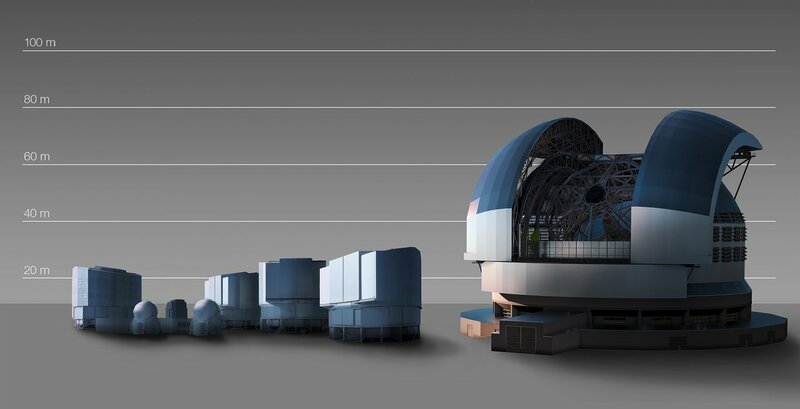 The Extremely Large Telescope’s 39-metre mirror is bigger than all existing professional optical telescopes combined. Star of the South: The ELT is comparable in size to the Allianz Arena, stadium and home of FC Bayern Munich. 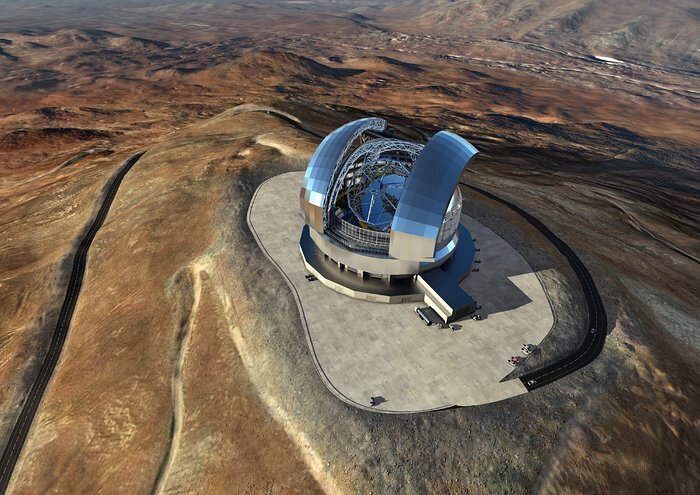 David and Goliath: The enclosure of the Extremely Large Telescope will dwarf the Unit Telescopes of ESO’s Very Large Telescope at nearby Paranal. Bare mountain: Cerro Armazones in 2011, before the 3,064-metre summit was flattened to create a platform for the construction of the ELT. Even before the completion of the Very Large Telescope, European scientists and engineers drew up plans for an even bigger instrument. Equipped with a 39-metre segmented mirror, the Extremely Large Telescope (ELT) will study the Universe at visible and infrared wavelengths. 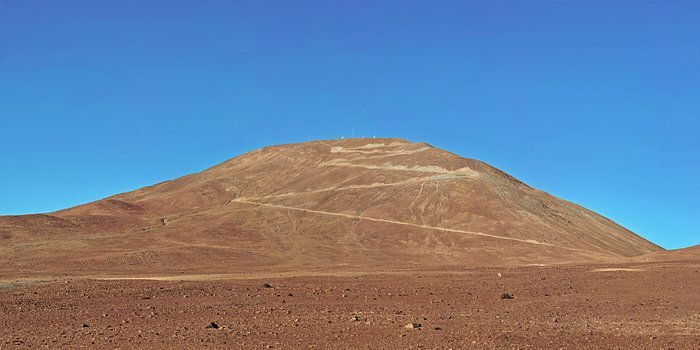 Preparatory work for the construction of the ELT is already in full swing at Cerro Armazones in northern Chile, close to ESO’s existing Paranal Observatory. With its suite of scientific instruments, the ELT will further strengthen ESO’s role in astronomy. 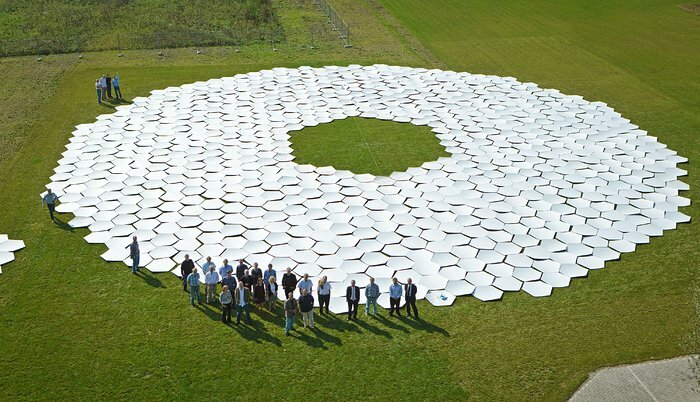 Mirror mock up: At ESO’s Open House Day in 2011, visitors used plastic hexagons to create a full-scale mock-up of the ELT’s 39-metre segmented mirror. 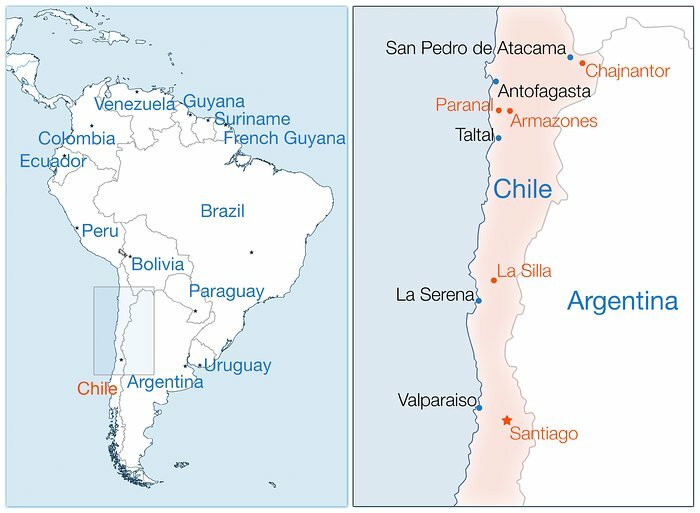 Home country: The ELT is being built at Cerro Armazones, in Chile, close to the existing Paranal observatory. You know the feeling. If you’ve built a sand castle, your next one needs to be bigger. That’s true for telescopes, too. So ESO is building the largest telescope in the world. Its mirror is almost half as big as a soccer field.